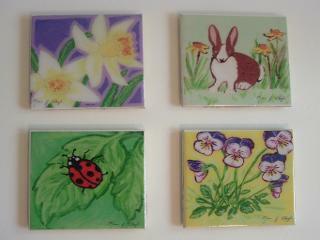 Now available are beautiful art reproductions of original painted designs by Karen Lloyd. Her whimsical, nature-based paintings grace high quality ceramic tiles as functional art on beverage coasters and magnets. 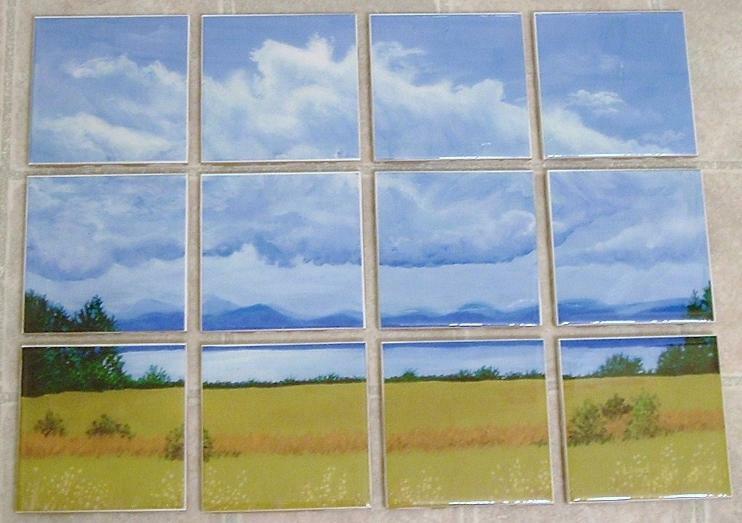 Also available are tile wall accents and 12 piece wall murals.